By taking our iOS App Development Course, students will learn how to create fully functional apps for both the iPhone and iPad. This is achieved through a combination of theoretical training and hands-on programming exercises and activities. There are two courses on offer. One is for beginners with no prior programming experience and the other is for those who have prior programming experience, ideally in an Object Oriented programming language. All courses are taught with a hands-on approach, using a range of practical exercises. Students will receive a printed binder containing all of the course materials with in-depth step by step instructions. Students are required to bring their own Mac laptop with Xcode installed. Alternatively, they can hire a Mac for the duration of the course. System requirement is to have an Intel-based Mac running Mac OS X Mavericks or later. The Integrated Development Environment (IDE) used for developing iOS apps is Xcode, which can be downloaded for free from the Mac App Store. The App Store is still the “Big Fish” in town. There are currently 1,000 new apps being launched every single day and seeing that Apple “curates” its apps, meaning that it has a process of approval in place that ensures quality compliance, it is still the “favorite” for most mobile users out there. This despite the fact that there are more android devices on the planet than iOS devices, there is still a lot of love for Apple products. 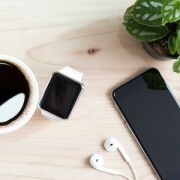 There has been no indication that these trends will slow down over the next few years, meaning that there is a world of opportunities available for people interested in jumping on the “app development train”. The cold hard fact is that there is a higher demand for app development than the amount of available developers in the world. This means that anyone who possess the skills to develop iOS apps, can definitely create lucrative opportunities and reach people like never before. Finding the right kind of iOS course is key to acquiring these opportunities. You have the option to learn everything you need to know on your own, the problem however with this approach is that it will take you much longer to figure it out as opposed to learning from an expert that can help you reach your goals much quicker. This is important because as there is a high demand for app development, the current competition in the marketplace is also becoming tougher. The App Store is roughly nine years old and since the inception of this marketplace, we have come a long way. In fact, with the addition of augmented reality integrated to mobile technology, the world has advanced quite significantly in terms of app development over the years and there is no indication that the growth is poised to slow down any time soon. So we understand that there is a high demand for skilled app developers as well as a constant innovation occurring within the marketplace. This is why learning the tricks of the trade by yourself isn’t ideal, especially if you don’t have a base in app development yet. 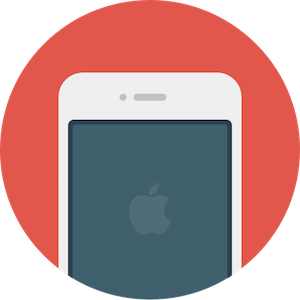 Bermotech offers flexible course schedules for all our iOS App development courses allowing you to learn iOS app development at your pace. Whether you require evening classes or can only attend over weekends, Bermotech can accommodate to your schedule. Our iOS bootcamps have helped many of our students launch their own apps on the app store that is currently available for download. Some of these coders were kids, and every day we take on more children with their minds on the future. If you want to learn to build iOS apps in a fun and highly informative environment, we highly recommend you get in touch with Bermotech today. Our approach is quite different from everyone else and we can virtually teach anyone how to become an iOS app development master. Get in touch with Bermotech right now and embrace the future of iOS app development today! After training day you will have 30 days access by email to ask any questions regarding what you learned. For more information on upcoming iOS app courses in London call us on 020 7586 1602 or email us at info@bermotech.com.